John Lennon's sexual quirks were evident early on. We already know how it ends: John Lennon starts a band and ends up bigger than Jesus. Before that, though ... whew. There’s a whole lotta psychosexual stuff packed into Nowhere Boy — the tale of Lennon’s adolescence in Liverpool. Whether all that stuff’s true or not, it sure makes for a smashing film. Based on the memoir by Julia Baird, Lennon’s sister — and contested by some who insist the film exaggerates the events of Lennon’s early life and even turns them into melodrama — Nowhere Boy is a startling bit of rock ’n’ roll psychotherapy. John (the charismatic Aaron Johnson) is an arrogant, cocky 15-year-old who’s “going nowhere,” his school headmaster tells him ... but John considers himself a genius, for reasons unknown (although we know he’s right). Right off, we see he’s a wistful, lonely kid: The film opens, cleverly, with young Lennon dreaming of something that’s like the yet-in-the-future opening of the film A Hard Day’s Night, running from pursuing girls off-screen, yet also clearly hoping to be caught. Nowhere Boy, however, takes its leisurely time clueing us in to causes of John’s pain (if, that is, you’re not already a well-informed Beatles fan). Which is just as it should be: John is slowly transformed here from something iconic and distant into a living, suffering, prickly person. We meet a John who lives with his Aunt Mimi (Kristin Scott Thomas) and Uncle George (David Threlfall), and he seems happy enough at first, certainly, he’s got a warm relationship with George. Though Mimi is cold and distant. Later, John is reintroduced to his own mother, Julia (Anne-Marie Duff), whom he hasn’t seen in years ... though we get glimpses of the nightmares he has about, seemingly, the moment he was torn from her. Now, Julia represents the escape from Mimi that John needs, and she’s very unlike her sister: an outrageous flirt, she’s weirdly, inappropriately amorous with her own son, whom she calls “my dream.” (The film hints that she was prone to wild mood swings from exuberance to deep depression.) But Julia’s the one who teaches John how to play the banjo, and she introduces him to the magic of Elvis — just at the moment when lonely John, starved for female affection, starts to turn to girls his own age. Later comes the meeting with Paul McCartney (the always charming Thomas Sangster), and it’s too bad we don’t get to spend more time with him. 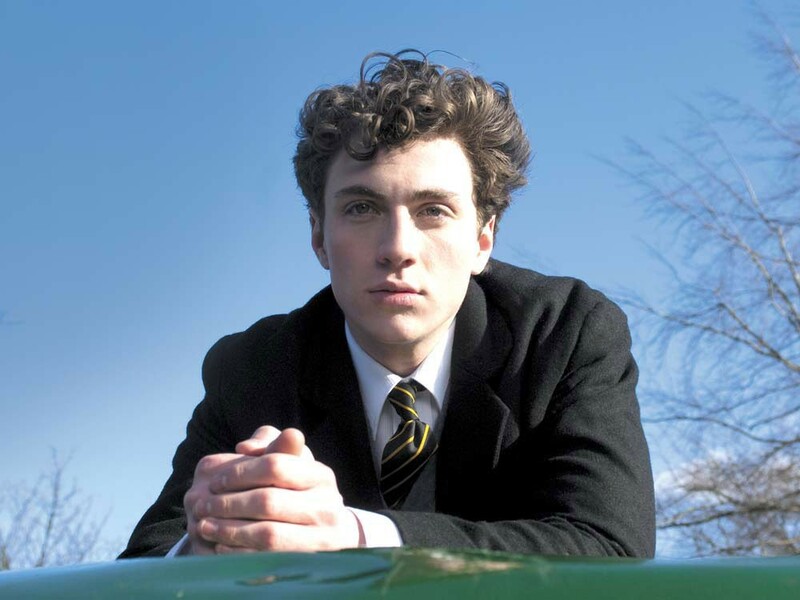 Still, it all gets even more intriguing to learn that Nowhere Boy is the feature debut of British artist Sam Taylor-Wood, who is a female Sam, not a male Sam. There’s a creamy sensuousness to the film, which gazes adoringly at John throughout — Aaron Johnson is a very pretty young man — and the dynamic at play in the film between John and the older women in his life hits all the authentic emotional notes. It’s impossible not to wonder how much of that derives from the fact that while making this film, Taylor-Wood fell in love with the 20-year-old Johnson, who’s 23 years her junior. And then she married him and had a baby with him. That’s taking one’s art very seriously indeed.